Is Vino Vegan? A Discussion + Video Review Of Wines By The Vegan Vine! And he’s not alone. Many people, including many vegans, don’t realize (or even think to realize) that their favorite spirits, beers, and wines, may be produced or refined using animal products. Liquor is generally a pretty low risk (liqueurs and cordials pose the biggest threats), and there’s only a moderate concern when it comes to beers and ciders. The biggest offenders – and unfortunately there’s really no way to know the exact numbers – are the wines. Isinglass – a very pure form of gelatin from fish bladders, typically sturgeons. Gelatin – from boiled cow’s or pig’s hooves and sinews. Albumin – the opaque stringy part of egg whites. Casein – the main protein in milk, familiar to vegans as that nefarious ingredient that makes many popular “non-dairy” cheeses actually non-vegan cheeses. These animal products are used to “fine” or filter the wine, making it visually clear. A fining agent binds to the microscopic particles and crystals that occur naturally during the fermentation and aging process. Without fining, wines end up with sediment, “floaties,” or an unattractive haziness (think kombucha). Fining also helps to remove excess tannins, which can create a hard edge in red wines. But of course, these animal-derived ingredients are totally unnecessary. Vegan wines can be made using natural ingredients like bentonite clay, which work just as well to enhance the temperature stability of wine, and prevent floaties from forming in the barrel, bottle, or glass. It’s a shame that bentonite has not become the industry standard, and it’s even more shameful that wine manufacturers are not required to list fining agents on their labels! But I digress. 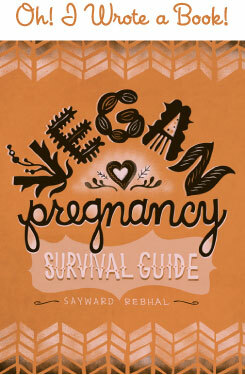 It is what it is, and lucky for us, there’s some really awesome vegan companies stepping up, and getting the word out. Sauvignon Blanc – Bright and fresh, hints of apple and strong on the citrus. We all agreed that this is a quintessential “afternoon wine”, perfect for pairing with a porch, a salad, and some good company (or if you’re Ingrid, a good book). Chardonnay – All of us liked this bright white wine, but we all agreed that it’s not a typical Chardonnay, and someone looking for that customary “big buttery flavor” may find themselves disappointed. Still, we enjoyed this wine with its notes of butterscotch, caramel, and fig. So, it’s good, but not if you’re hankering for that traditional rich ‘n creamy Chardonnay flavor. Red Blend – A floral nose with lots of vanilla which scared me, because I hate vanilla in my wine. Luckily there’s no vanilla on the palate, which is rich and full with berry and chocolate and black tea and tobacco. However, we were split on our feelings about this wine. Jeremy didn’t care for it. I thought it was good and light, quite drinkable. Ingrid, Terry, and Clovis all loved it. So, you know, wine is subjective! Cabernet Sauvignon – Soooo good! Our very favorite, I think we all agreed. Full-bodied with ripe berry and plum, balanced against tobacco and spice. It’s a shame the video got cut off, because this was the best wine of the night! Thanks so much to my beloved friends for letting me film them while filling their bellies with the demon drink! Thank you to Ingrid Luna (you can see her fine art here and her Etsy shop here), to Terry Luna (you can listen to The Mutineers and their amazing brand of floor-stomping beer-swilling rabble-rousing Americana alt country, here), to Clovis IV (see his inspired music and portrait photography here) (oh, he also shot the anti-meat dress! ), and to Jeremy, our wine specialist and illustrious sommelier for the evening. Thank you so much my dears. 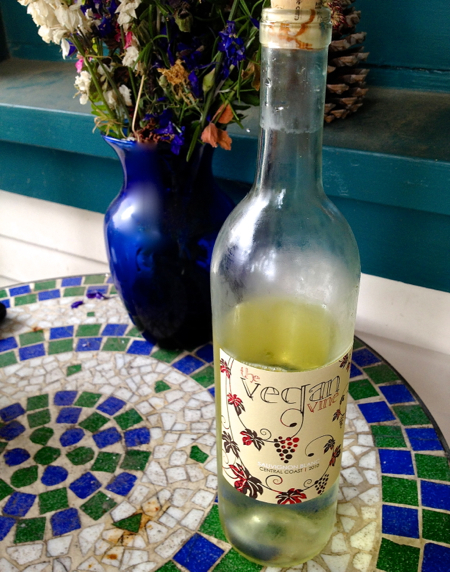 And of course, a special thank you to The Vegan Vine, and to ethical winemakers everywhere! We’re coming right up on the holiday season, so I do hope you’ll keep these cruelty-free options in mind when you’re planning your impending festivities. Looks like a fun time! I went to a popup restaurant a few months back where every course was paired with a Vegan Vine wine. Unfortunately I was not impressed :( I really wanted to be, but the only one I kind of liked was the cab. Great post! I love the vegan vine Cabernet, too, and you’ve inspired me to host a vegan wine-tasting party at my house, too!! Yalumba is also a great vegan wine brand, though they do not advertise that they are vegan. “I like to be bitten by wine.” Ha! Cool post, awesome crew. I’ve been wanting to try the cab for a while now! Yay! They sent me samples of each a while back, and I loved them all. The cab sauv was my fave too. that was so fun! thanks for including us in your video! and thank you for the shout out, my lovely! Oh no! Bummer, but it sounds like most people agree that the cab is the best. Ooh you should totally have a vegan wine tasting party at your house – that would be awesome! 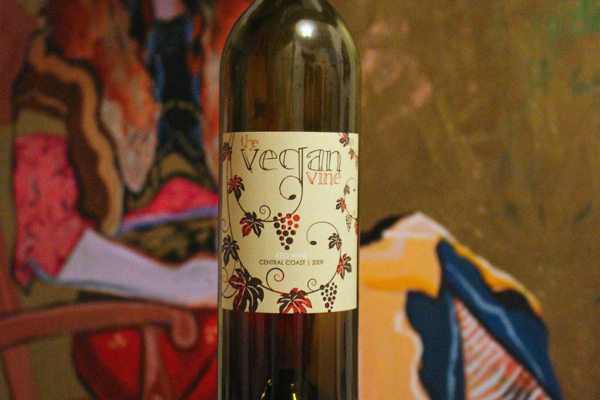 There are lots of vegan wines out there, but not a lot that specifically call themselves vegan. Haven’t heard of Yalumba, I’ll check it out. Thanks for the heads up! Just so you know, Chardonnay is only “traditionally” soft and buttery when it is from California and aged (too much) in oak. Truly traditional chardonnay from Europe is often bright and mineraly with citrus or other fruit overtones. I’m not sure why over-oaked California chardonnays got started as they are sometimes described as “flabby” though there are a few really good ones (Far Niente comes to mind) that are oaked but not overly so and wonderful (but need to be matched to food usually). I do have a question here. If you have a synthetic casein or synthetic albumen would that be vegan? I’m not sure that synthetics are used yet in the wine industry, but since both animal products have been synthesized it is eventually possible.